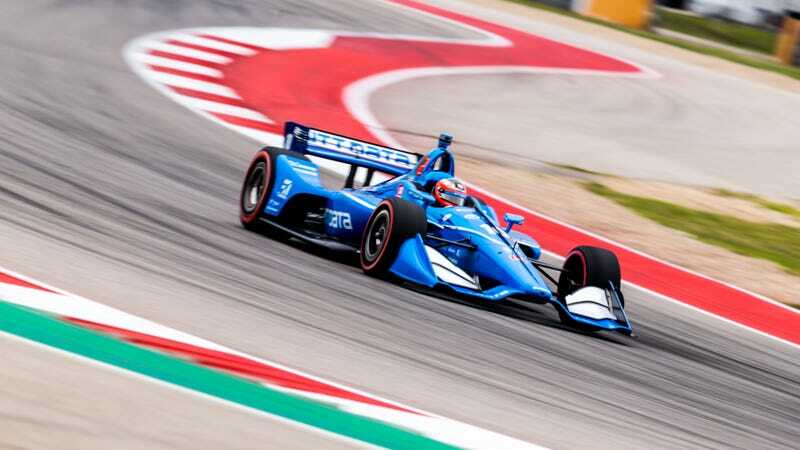 The IndyCar Series is at Circuit of The Americas for the first time ever, former series champion Will Power is on pole position, there are no track limits in the 19th turn, and Stadium Super Trucks is here. If you couldn’t tell by now, that means it’s shaping up to be a good weekend in Austin. Here are all of the best views from a cloudy Saturday afternoon of IndyCar and its support series at COTA—for those of you who weren’t at the track and those who were, since most road courses are impossible to see from every angle. If you are in the area, though, come hang out with your friendly Jalopnik staff and some special guests from IndyCar on Saturday night at Lustre Pearl East in Austin. There will be food, drink tickets, free Jalopnik stickers, plenty of fun to be had, and Mario Andretti. Yes, that one. If not, we’ll see you around.